The NFL Draft cannot get here fast enough. The Patriots off-season has been too long already and I am tired of it. Between Bob Kraft reportedly soliciting prostitutes in Florida, Rob Gronkowski retiring and Greg Schiano resigning, I am just about done with the Patriots. The Schiano resignation came out of left field but it is not a surprise given the fact that the Patriots routinely make news these days. Excited about Opening Day and the new baseball season? Nope. the Patriots will hijack the news cycle and steal the headlines. That is how it works around here. Schiano cited “faith and family” as the primary reasons for stepping down. I am sure there is some truth to what he said but it is more than faith and family. 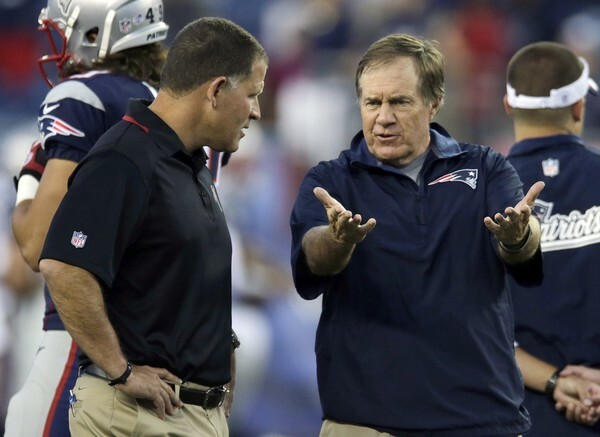 Belichick and Schiano were not on the same page. I don’t need an inside source to know that. If you have been around football, you know when coaches part ways, it is mostly due to philosophical differences. Schiano was an odd fit to begin with. While he and Belichick have mutual respect for each, they are not a good fit schematically. Schiano is a 4-3 coach who wants defensive ends who are explosive, athletic and can consistently rush the passer. Belichick is more of a multiple defensive coach who uses a variety of fronts and coverages and preaches more gap control and bringing pressure. Philosophical, they are completely different. While that may be comforting to the fans, the reality is the clock is ticking. This off-season has been a tumultuous one and time is running out on Belichick and the Patriots to turn it around.